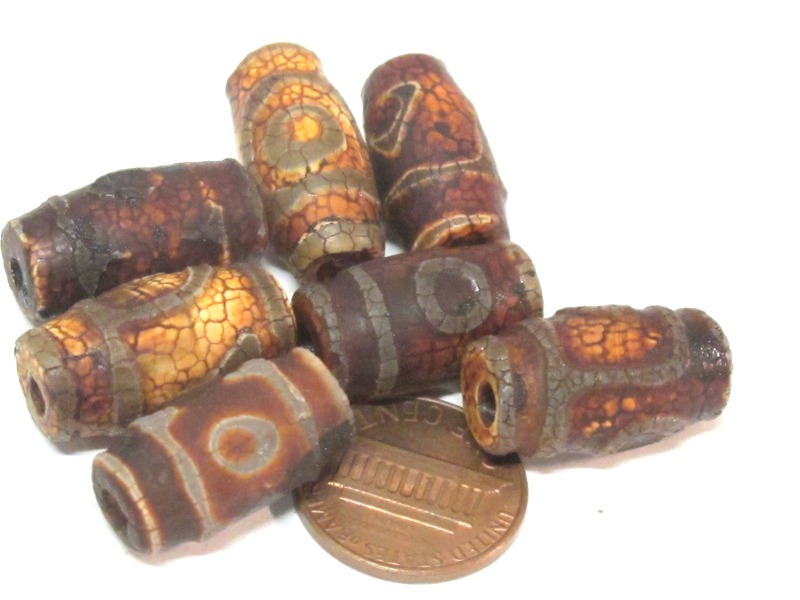 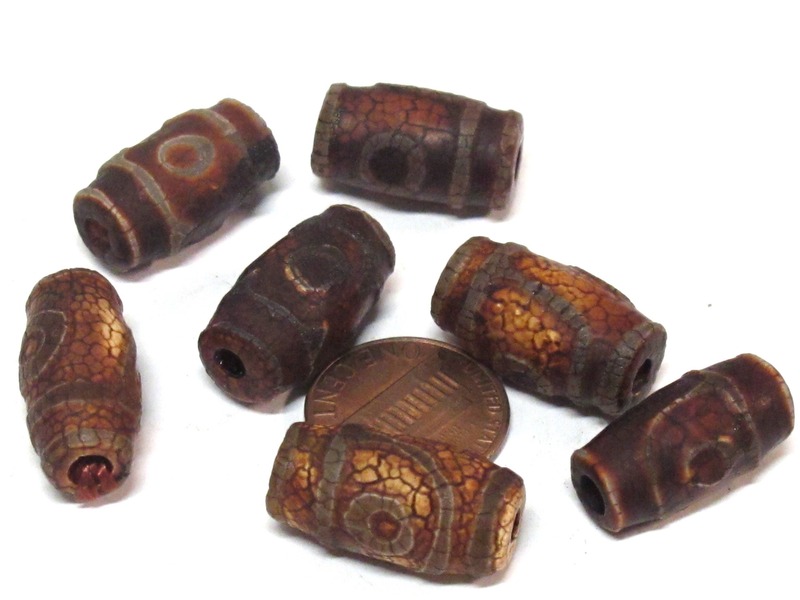 Tubular cylinder shape etched agate dzi beads. 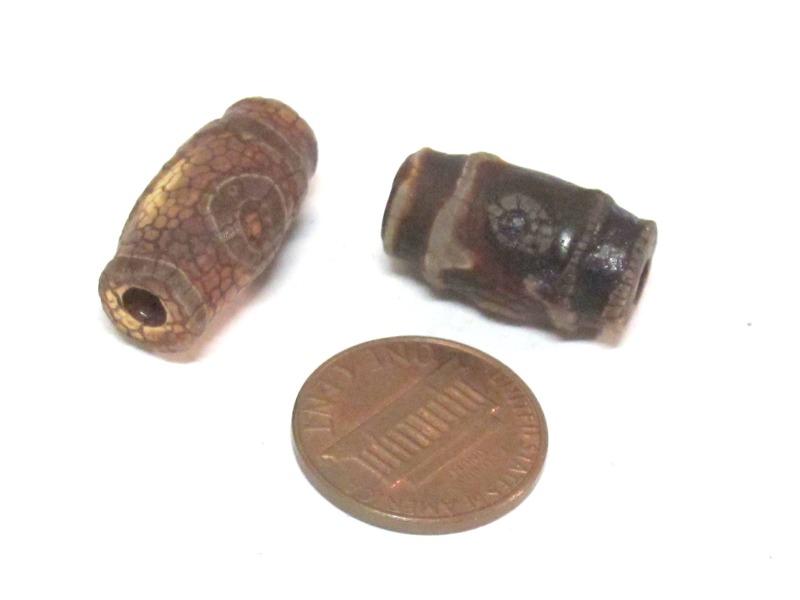 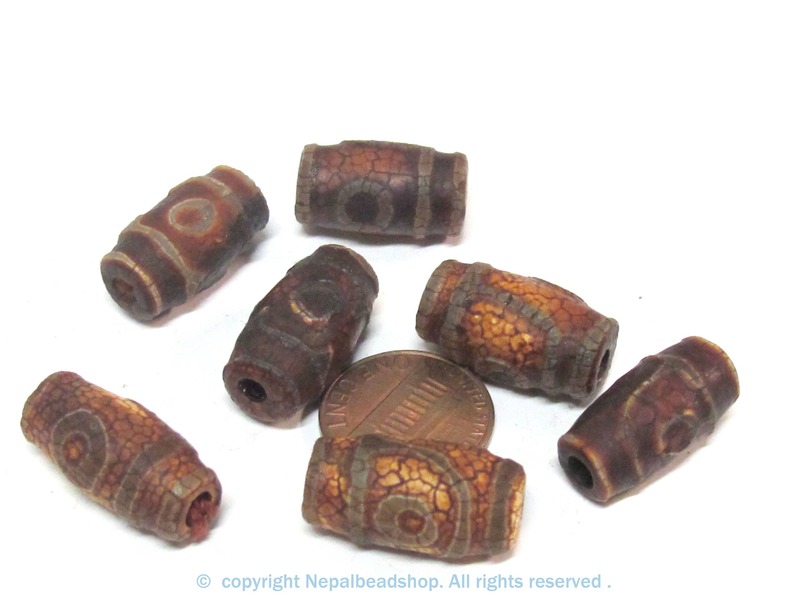 Please note that we do not carry ancient Tibetan dzi beads as they are very rare and extremely expensive . 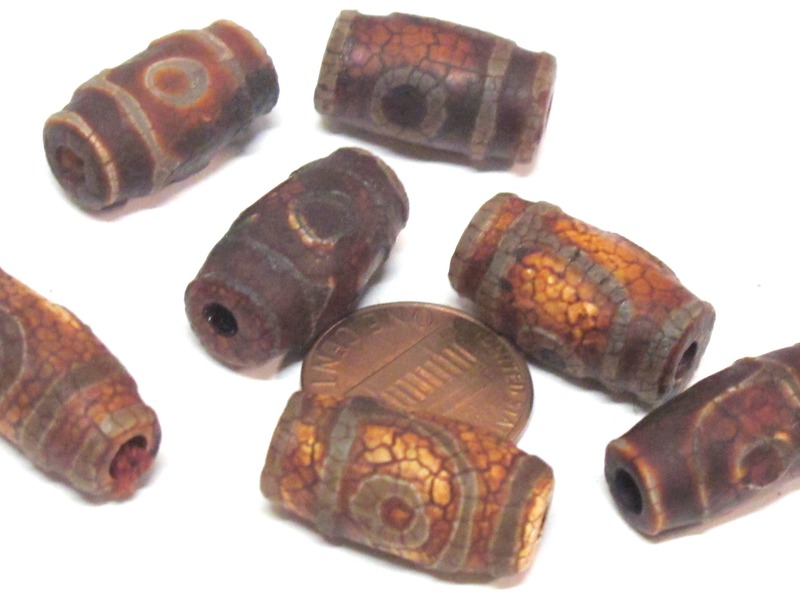 Each bead will vary slightly from the other.